The superior pad design on this #1 All Systems Pin Brush allows the 1" long pins to rotate with tangles, reducing the discomfort of brush-outs and to penetrate deeply into the coat. 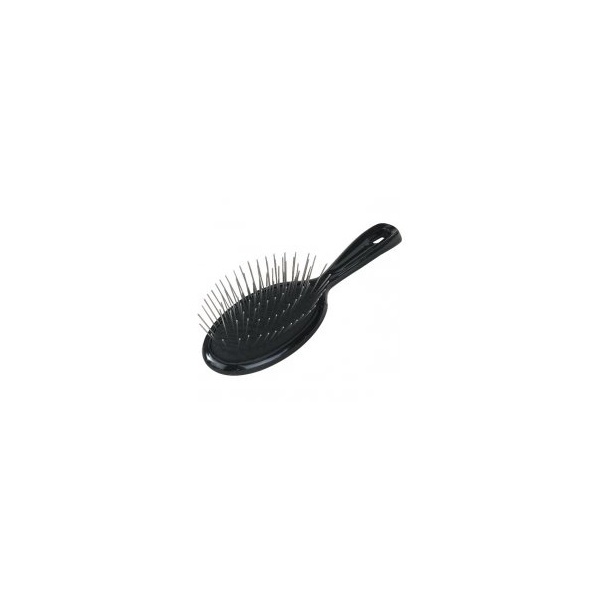 This small brush is ideal for working with smaller dogs. The pins are demagnetized to decrease static. Superior pad design allows the pins to rotate with tangles and to reducing discomfort. Ergonomically molded plastic handle for reduced stress on hand and arm. Designed specifically for medium to long coats. 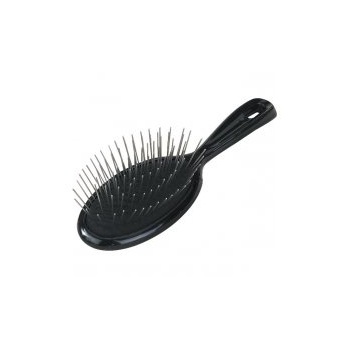 Pin Brush is especially recommended for finer, more fragile coats or just when every hair counts.